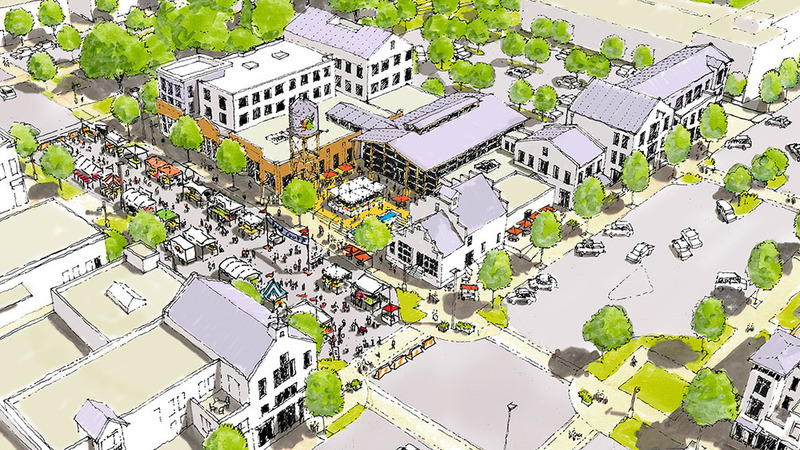 Adjoining landowners asked us to envision redevelopment scenarios for their properties that included residential spaces and a variety of street and neighborhood activating uses. Creating a scenario for an expanded home for the local food co-op and ancillary food businesses as well as a new week-end farmer's market location was especially fun. Randy was the project designer for this concept while he was with RB+B Architects.